For hundreds of years, maps have provided one of the best ways to communicate information about location and relationships. From the power of the paper map to the recent proliferation of digital maps on mobile devices, we have seen some amazing technological advancements. By their very nature, maps are static pictures of the world at a point in the past, incapable of being rapidly updated. Even though they are delivered in digital format, they describe what was and not what is or what can be. Today, the geographic picture is not enough; what we desperately require is dynamic illustrated business information. It’s time to change the way the world thinks about maps with the Hexagon Smart M.App. WHAT IS A HEXAGON SMART M.APP? A Hexagon Smart M.App is a cloud application that focuses on communicating information. These applications transform geospatial information into 360° business analytics and meaningful visualizations. By integrating the most up-to-date geospatial content, you can ensure that your app delivers time-sensitive answers. 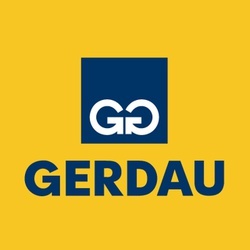 This game-changing platform has revolutionized the way we envision, experience and communicate geographic information. We have already created some Hexagon Smart M.Apps. You can browse these in the M.App Exchange and watch the demo videos to see how they are changing the mapping industry. We are seeking partners who can help us build the M.App of the Future. IGNITE is a competition to create an innovative Hexagon Smart M.App that will solve real world issues in a smart, fresh way. You are invited to plan and build a dynamic information experience that provides an elegant solution to a mainstream, global issue. We want you to innovate around six core themes that represent areas of global importance and are vital to the future of our planet. You can submit ideas in one (or more) of these themes. The challenge addressed in your Hexagon Smart M.App should be easily understood and should capture significant attention and interest. IGNITE is much more than an opportunity to win cash. This is your chance to build an app that you own, and earn money selling it on our eCommerce platform. All of the IP from your idea and final solution is your own. Build your revolutionary app on our platform and let us take you to market on the M.App Exchange. All sales from your game-changing application earn you a 70/30 revenue split. For guidance and hands-on experience with the Hexagon Smart M.App development environment, we will facilitate IGNITE Sessions across the globe between February 15 and April 15, 2016. 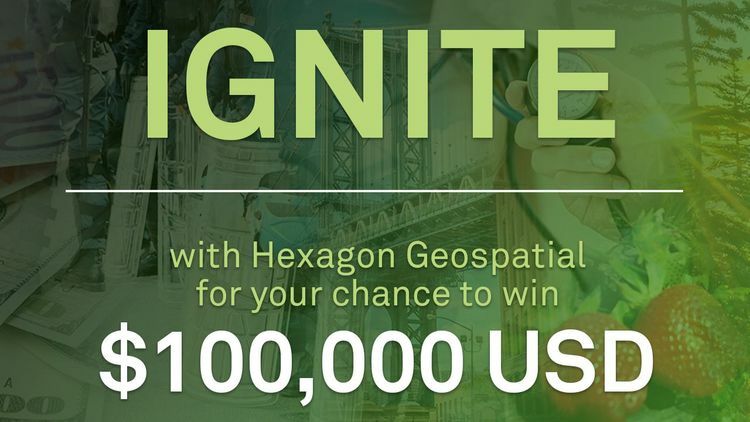 The IGNITE Sessions are one-day workshops organized and hosted by Hexagon Geospatial staff and partners. These forums offer a unique opportunity to work alongside subject matter experts, exchange ideas, and also dig into the M.App Studio to learn how to build targeted applications. IGNITE will launch in January 2016, inviting you to submit your ideas before May 8. At HxGN LIVE 2016 in Anaheim, we will announce the finalists, equipping them to build their Hexagon Smart M.Apps. IGNITE will end in early December 2016 with the announcement of winners and distribution of prizes – and the ability for future monetization on the Hexagon Smart M.Apps created. See Timeline for more details. Click the "Start Here" button above to register to compete in the challenge. Read the complete Challenge Guidelines for rules and requirements. Share this challenge with your friends and family or anyone who might be interested in being part of IGNITE and building innovative applications. You can use the social media buttons beneath the challenge image above to share this page. Use the challenge forum to tell us what you think of the challenge or to ask any questions. Stay tuned to the Challenge website for the most up-to-date information about important dates!